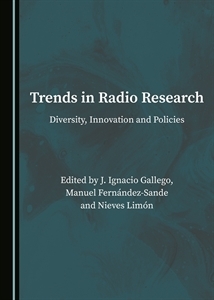 The recent book ” Trends in Radio Research: Diversity, Innovation & Policies“, published by Cambridge Scholars Publishing contains a first chapter which is my recent contribution to the field of community media studies. Entitled as “Community radio as a social learning instrument for social empowerment and community building. An analysis of youth participation in the Spanish Third Media Sector”, the article contains, in the first hand, an analysis of the educative role that community media plays in Spain as significative resources for media literacy. Community and Free radios are educating citizenship in the functioning of the media system. Second, these radios usually provide knowledge, skills and technical resources for people to engage in the construction of their own media discourse, empowering local communities “giving voice to voiceless” and guaranteeing “free access to media production and ownership”. The paper analyzes how young people get involved in their media and which tasks they commonly develop in there. We observed the formal and informal educative processes developed in their media, which also produce the evolution of their values and motivations as well and learning and building processes emerging from interactions between volunteers and the local community. It must be said that this chapter is a brief presentation of part of the results of a study I have been involved as a researcher three years ago, “Youth and the Third Media Sector in Spain” together with many of the members of the RICCAP– the Community, Alternative and Participative Communication Research Network (http://www.riccap.org/en). This network, which I honor to be a founder member and Secretary, is being one of the more fulfilling learning experiences I have ever had the pleasure to enjoy. The more than 30 youth researchers and third media activists that belong to this net have successfully created a real community of practice in which to share our knowledge, experience and, why not to say, our commitment to making a more democratic and plural media system in Spain.